Summertime the ‘Orme Way’ is an oasis more than a season. Orme summers are bountiful with healthy activities, outdoor adventures, and opportunities to learn new skills and make new friends, in the temperate and natural beauty of our high-desert setting. The Leaders In Training (LIT) week is geared toward each participant learning about his/her leadership style, facilitation style, and ways to be a leader. The participants will be working on independent reflection, leadership goals, group projects and team-building strategies throughout the week, culminating in a leadership implementation plan for their own community. The week will also include horseback-riding, pool parties, ropes course challenges, beautiful hikes, and exploration of the surrounding area. Sign up now for a fun and inspiring summer at Orme! 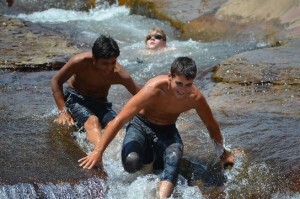 For more information about Orme’s Leaders in Training Camp, please call (928) 632-7601, or e-mail Camp@ormeschool.org. © 2019 THE ORME SCHOOL. All Rights Reserved.